I am so proud of ourselves. 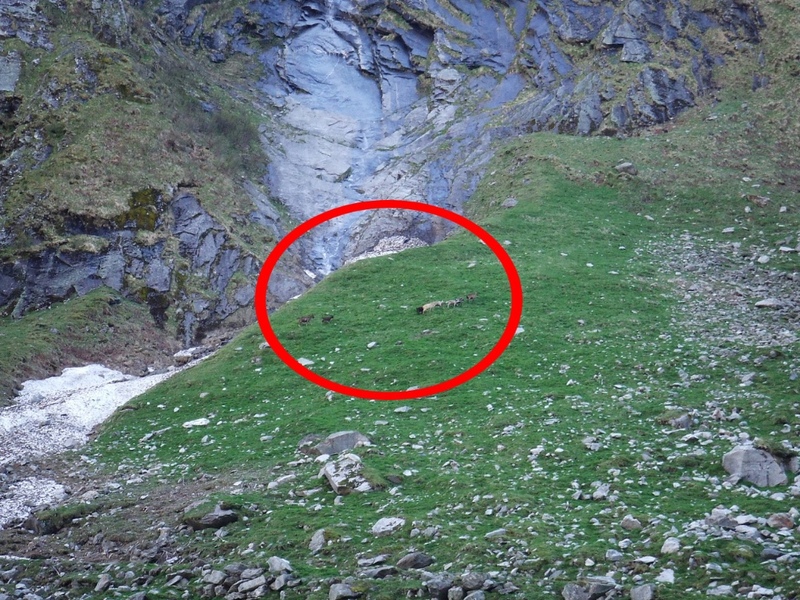 I do know that goats seem to eat non-stop and will eat a wide range of vegetation. This is why we have chairs blocking the balcony flower boxes, and I had to wait until most of the goats went to summer camp before starting my vegetable garden. I also know they have a strong smell about them – to say the least. This is why I’m in awe of Nina. 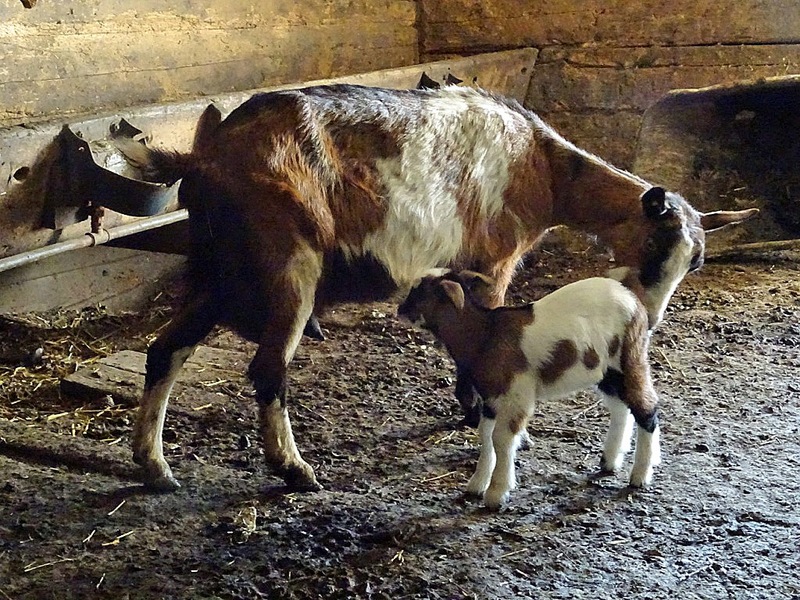 Twice a day she ventures into the stinky goat barn to make sure Klara gets some milk from her mother because nature isn’t always fair and equitable. Klara was born a few weeks ago, and her mother wanted nothing to do with her. 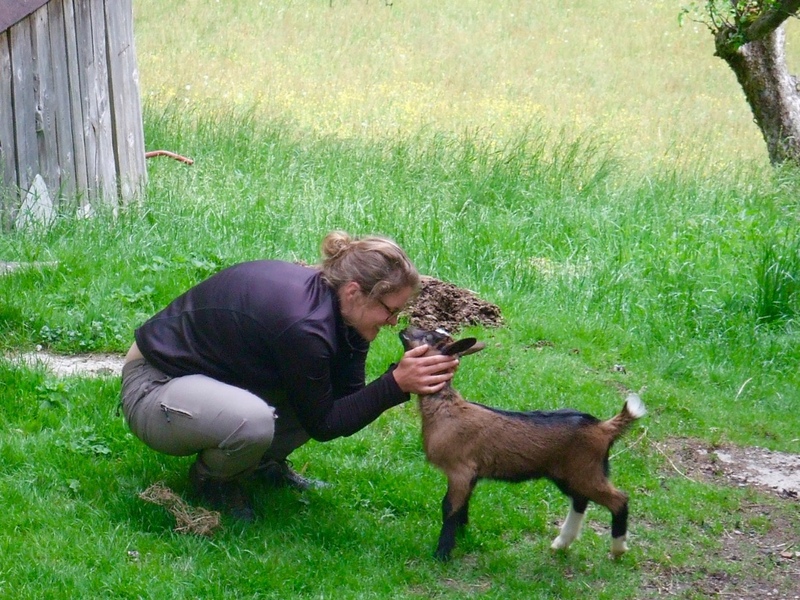 In fact, Martin showed Nina how to stand so that grumpy mama goat cannot see that Nina is holding Klara during feeding. Klara is ever so cute especially when she bounces around the barnyard, and pounces into Nina’s arms. 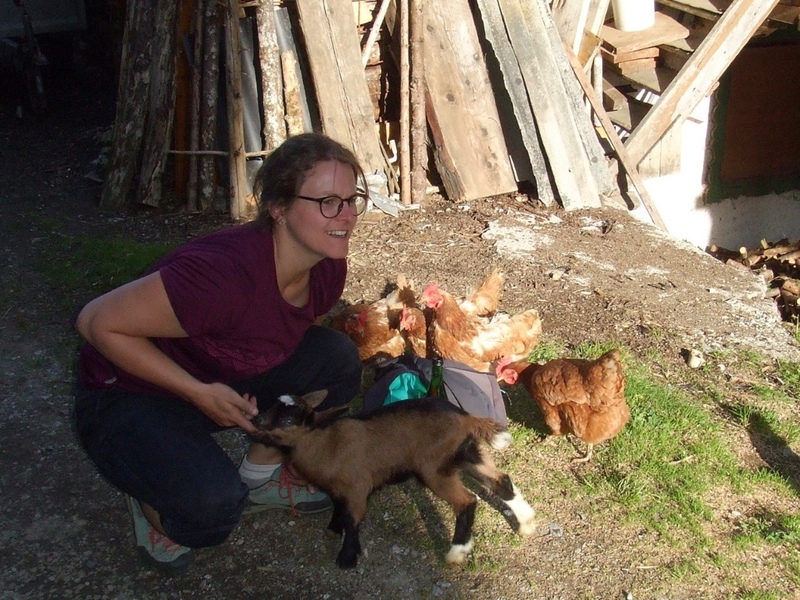 It seems that many days the other goats ignore her so Klara has found new friends. Sunny afternoons she can be found lying on the grass surrounded by a circle of chickens and roosters. 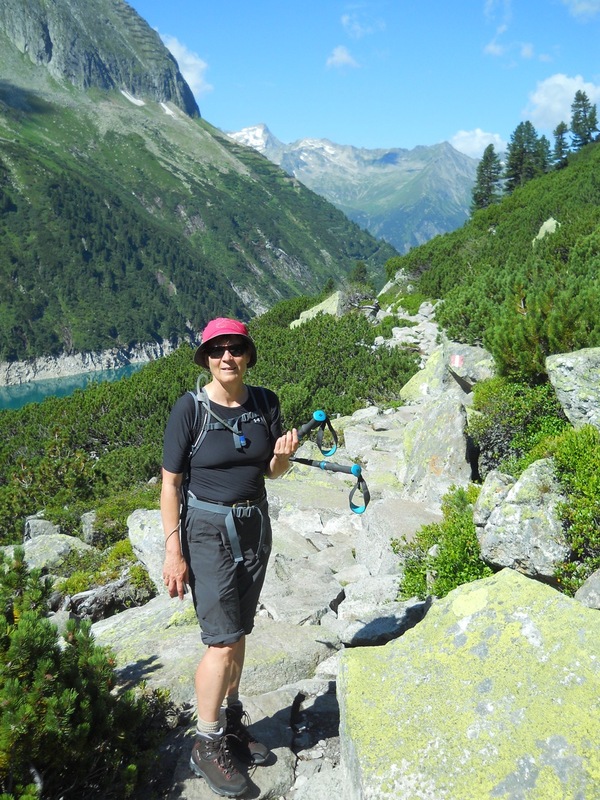 Heidi, the puppy, also playfully chases Klara around carefully nipping at her heels. 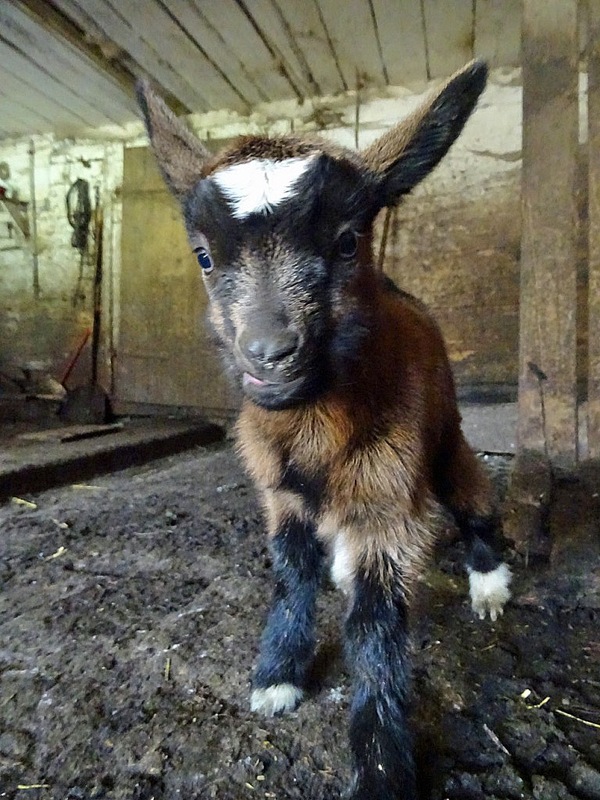 Klara is smaller than the other goats. 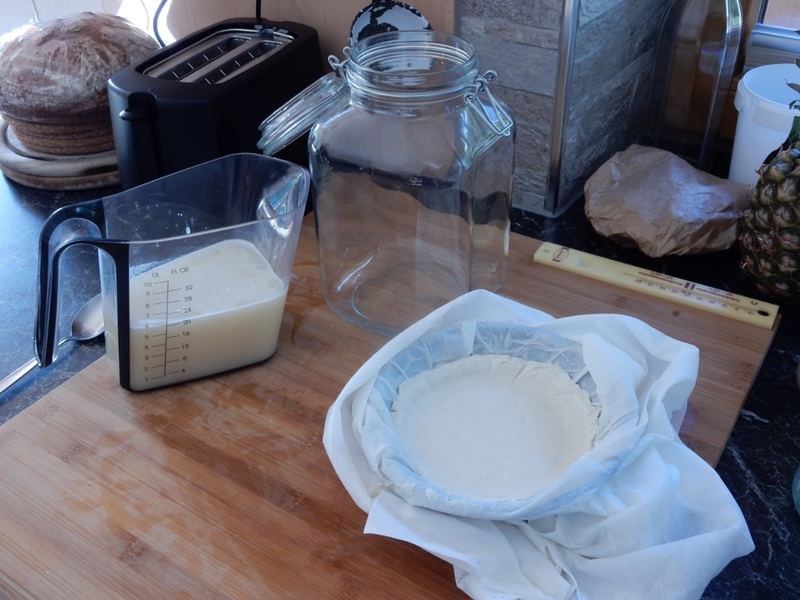 This spring we’ve had an abundance of goat milk. I tried to make yoghurt but the consistency reminded me of white glue. So, I turned it into frozen yoghurt treats that are surprisingly good – mixed berry and chocolate banana. In fact, I bet you’d never guess it was made from goat milk that to me has a stronger taste than cow’s milk. We ordered some vegetarian rennet (the substance that makes cheese firm) and Nina’s friend brought it with her from Germany. On a Friday night, I’m giving feta cheese another go. It turned out really well – it looks like feta and it tastes pretty darn good in a salad. 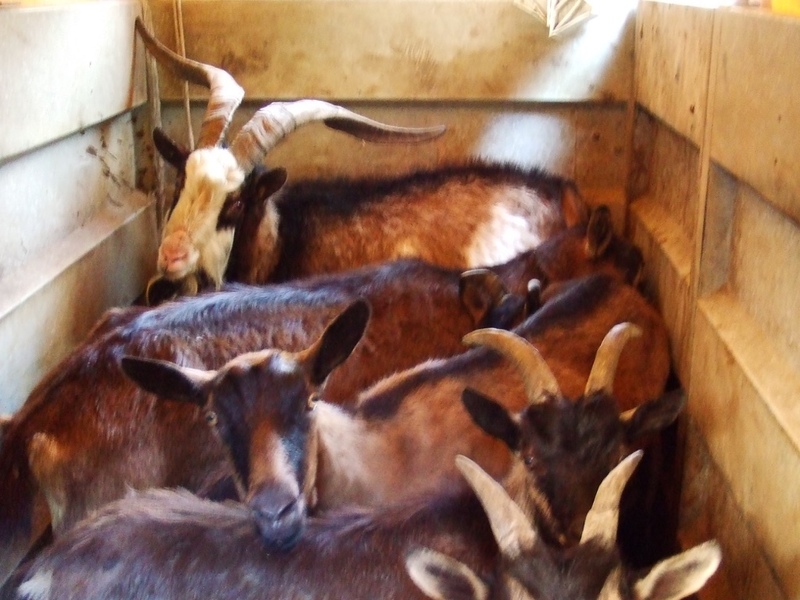 A couple of Sunday’s ago, Reinhard and I accompanied Martin and a trailer full of goats to their summer camp. 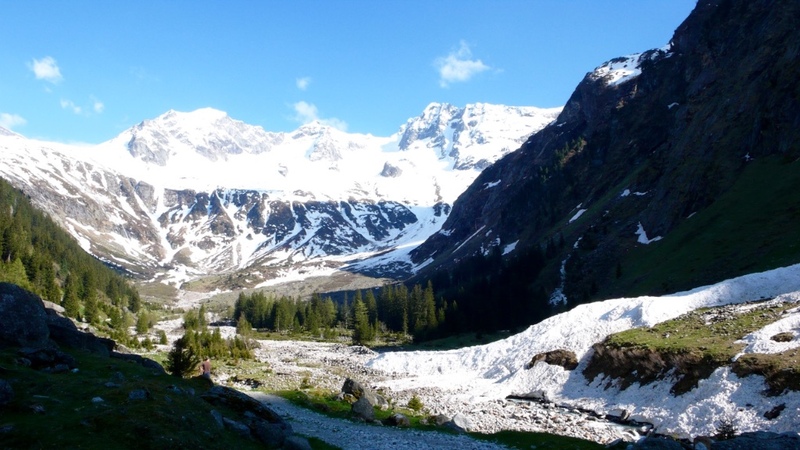 It was a glorious day with brilliant sunshine, alpine meadows bursting with colours and the only sound was tumbling water from high waterfalls as we bounced our way along the narrow valley road. 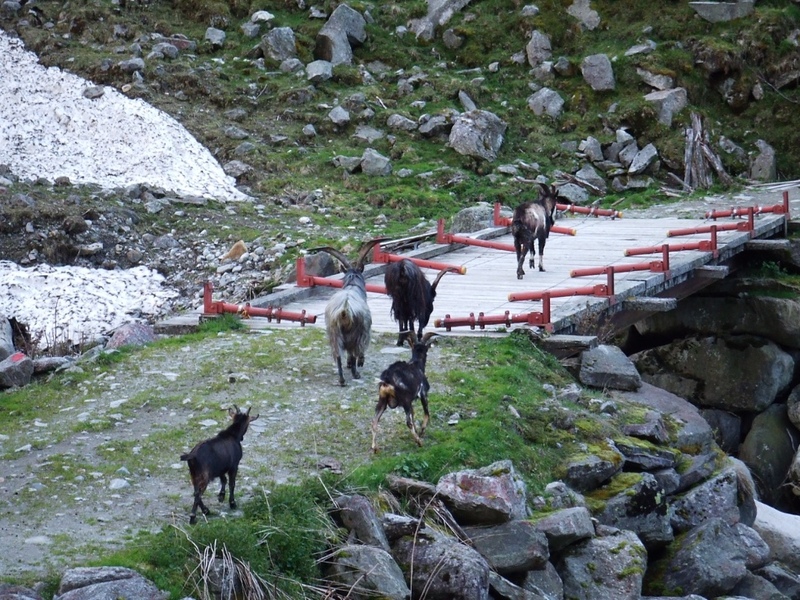 As soon as Martin opened the trailer, his goats bolted for the bridge and the high-tailed it up the well-worn goat path. On the other hand, his friend’s very shaggy goats, that we picked up from a barn in the middle of a tourist town, moved very slowly grazing as they meandered. 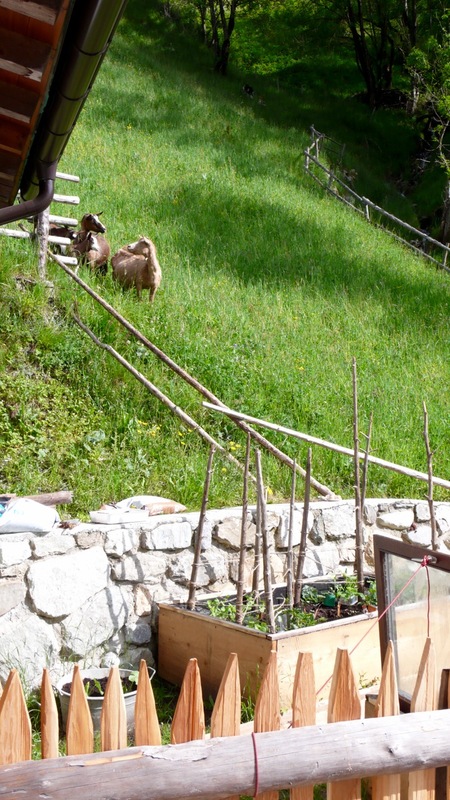 We learned that unlike Martin’s goats who spend most of their time outdoors climbing the steep hillside behind his farm, the town goats were inside for months. Hmmm - sometimes around here I feel like a town goat who hasn’t had enough exercise especially on the steep slopes.